In the US, beech wood is better known as a firewood than as a wood for smoking food. 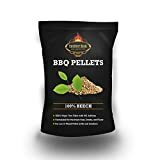 This is especially the case with the parts of the country where barbecue is a major part of the culture; however, it can be used to provide flavor to meats and other foods. Beech is a hardwood, which means that it will not put out the high levels of thick smoke that you would get from a softwood like pine or fir. Along with the potential for acrid-tasting creosote buildup on your food, the smoke from softwoods is filled with potentially harmful compounds. In comparison, beech wood chips will give you a light blue smoke that provides a flavor that is mild and sweet. Along with its flavor, it will give lighter colored foods an attractive golden color. Which tree provides beech wood chips? Beech trees are indigenous to the parts of Europe and North America with temperate climates. The American beech tree grows all the way from Canada to Texas and Florida. These trees can live for as long as 400 years and grow up to 80 feet tall. The common names for the varieties of beech grow in the US are the Red Beech and the American Beech. Beech wood chip flavor—what is the effect on taste? What does it do that other woods don’t? Beech wood chips provide a delicate, nutty smoke. The flavor that comes from beech wood smoke is mild when compared to the flavors from hickory, mesquite, and other pungent woods. It has been described as being somewhere between alder and hickory in terms of mildness, which means that its potency would rank around that of apple wood or pecan. In other words, it is less likely to overpower dishes and it is more difficult to accidentally over-smoke foods with it. Which foods does the flavor of beech wood chips complement best? Like alder, beech wood is mild enough to be used on seafood and works well with salmon as well as other fish. You can use it on other foods with mild flavors, including chicken and pork. Pair it with other milder woods to make a complex cocktail of smoky flavors. Beech is a more popular fuel in Europe than it is in the US. In Germany, it is used heavily. It is the wood over which famous German dishes like Nuremberg Bratwurst and Schwenker (grilled pork neck) are smoked. It is also perfect for use with cheeses. The fact that it has a light flavor is one reason that it is extremely versatile. You can use it in place of just about any smoking wood. 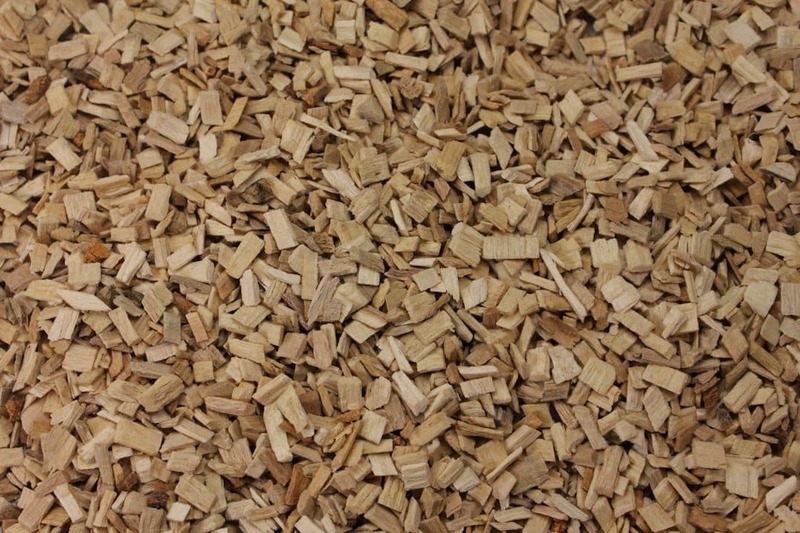 How do you use beech wood chips? You can use beech wood chips like any other type of smoking wood. Put the chips in a smoker box or wrap them in aluminum foil. If you use foil, poke some holes in it to allow the smoke to escape. Place the smoker box or the foil directly onto smoldering coals or over one of the burners on a gas grill. There is no need to bother with soaking your chips as this provides no advantages. Adherents to soaking say that it is supposed to slow down the rate at which they burn, but the reality is that it only postpones the burning until the chips dry out.